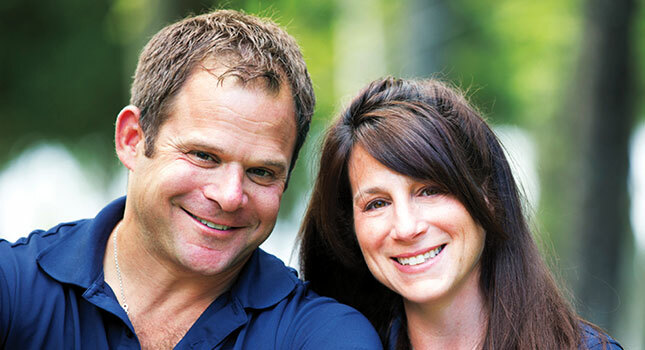 Camp Laurel has been under the directorship of Keith Klein and Jem Sollinger since 1994. Debbie Sollinger joined them as full-time director in 2007. Jem started as a camper at Laurel in 1980, went on to be a counselor, Campus Leader and now serves as Managing Partner and Director with his wife Debbie. Jem is a graduate of Union College where he was a four-year varsity soccer player and captain of the Alpine ski team. He is actively involved with the American Camp Association and is a former member of the Tri-State Camping Conference Steering Committee. Jem is a former member of the Board of Maine Summer Camps, Maine Youth Camping Association and Temple B’nai Chaim in Georgetown, Connecticut. A native of Westport, Connecticut, Jem assumed the directorship of a soccer camp in Fairfield County when he was 19 and found his calling. He currently serves on the board of Top of the Hill Club, the alumni backbone of the Staples High School soccer program. Jem lives in Weston, Connecticut with Debbie and daughters Anabel, Madeline and Tess. Debbie became a Director of Camp Laurel in 2007 and has spent every summer since 1998 (the year she met Jem) in Maine. She works closely with the head counselors, staff and campers, focusing on camper and staff relations, and oversees the camp health center. Debbie is from Baltimore, Maryland, where she attended the Park School and was a member of the varsity lacrosse and field hockey teams. A graduate of the University of Texas, Debbie is a certified social worker and a graduate of Yeshiva University’s Wurzweiller School of Social Work. She has also trained as a family therapist at the Ackerman Institute in New York City. Debbie previously served on the board of the Foundation for Jewish Camp. While consumed by camp 24/7 in the summer, in the “offseason” she balances her role as Managing Partner/Director and mother to Anabel, Madeline and Tess and golden retriever Thea.